Update 4/15/19: Office Depot isn’t showing up in all locations anymore, but still available in some. 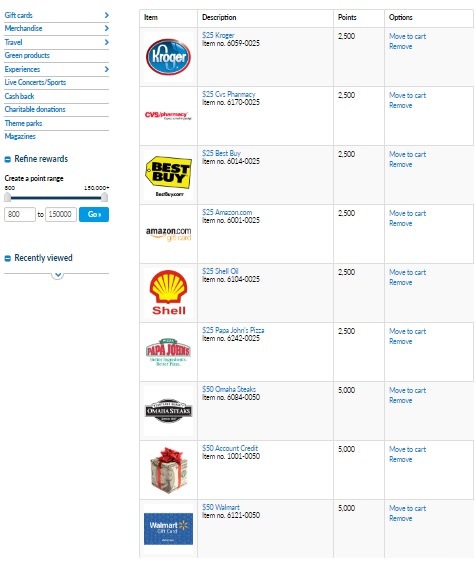 Update 4/14/19: Yelp cashback is offering $10 off $50+ at Office Depot. Update 4/6/19: You can currently get 7% back at Office Depot as well, $250 maximum. In 2016 Yelp launched Yelp Cashback, this is a card linked program that lets you earn up to 10% cash back at select merchants. You need to sign up for a Yelp account if you don’t already have one and then link any debit/credit cards you want. Yelp runs on the Empyr network same as Swagbucks and other programs. The reason we are posting is because reader Jeff noticed that when he checked into Sam’s Club at Yelp he was offered 5% cash back. Reader Jeff also linked their Chase Freedom card and it earned 5% cashback (Wholesale Clubs are a rotating 5% category this quarter). Keep in mind a card can only be linked to one Empyr program, so if your card is linked to another Empyr program it won’t work. Another good tip is to add a debit card as your primary card, that way your cash back will be paid into that account rather than receiving a refund on your credit card causing you to forfeit points earned. Unless I’m missing something you can triple dip Yelp + Dosh + Freedom/Discover for 5%+5%+5% to get 15% total. I’ll test it myself in a couple days but I’m guessing someone will beat me to it. Dosh doesn’t accept the Discover card. Correct – Yelp doesn’t either. Visa, MC, Amex only for Empyr. Dosh stacking is very unlikely to work because it also runs on Empyr. You’re right, I just googled it. I had only keyword searched Dosh for information but found nothing. I see a DoC article from 2017 confirming what you’ve noted. Bummer. Oh well, can’t complain about 10% back (5% dosh/Yelp + freedom card). True – but it takes Chase Freedom, and that’s what he proposed using. when i did sephora, it trigger both sides though. Dosh won’t work with similar programs such as Yelp. DoC, from my experience with Yelp, it’s best to add a debit card on there and set it as primary card. That way, your cashback will actually go to your bank account. Otthewise, it processes as a refund and your points get clawed back. IMO ..This is vital to successful use of the Yelp program. It should be a Fine Point in this article. Good point, let me add. thanks for this key point. however if I set a debit card as primary and pay using a different card (presumably Chase Freedom this quarter) how will it be able to identify purchases made @ Sams ? Yelp doesn’t let you add cards if the same card is linked to other program such as spent.com, etc, it shows an error. Whenever I get cashback from Groupon+ on my CSR, I earn 3x UR but the refunded part only takes away 1x UR. Same if I return something that I charged on my Chase card that earned 5%, it only deducts 1%. So if this goes into your bank account, would it be taxable? Treated similar to Bank account bonuses? It’s savings, not income – so, no. No cap on the 5% in Sam’s? It says.. “Maximum Individual Reward 250 dollars”… Assuming that a cap of $250 per account ($5k spend).. not a bad deal ! i would never assume the higher. most likely its 250 spend max. Where did you find the terms about the cap? U can use Yelp. With different cards than ones linked to Dosh coz Dosh has $20 cap per day. You can’t stack with Dosh since it runs on empyr, but you might be able to stack with uber visa local if you have the Sam’s offer there. Also stackable with Freedom 5x of course. Sam’s has Amex $500, any issues about getting those for organic spend? Anyway to delete cards linked on directly on Empyr? Suspended at do$h so can’t delete the cards there. What did you do to be suspended? I think they fixed it. No longer showed up 5% cash back. It’s 2% now, $250 max. Hey Stranger. I’m really curious about this $250 max. I tried to find a mention of it somewhere in the Yelp app, but couldn’t find it. Do you know if it’s a $250 max cash back per transaction, per day, per account lifetime, per something else? Where did you find $250 max terms? Thanks Stranger. It seems like they mean the max you can get is $250 cash back per transaction when they say “Maximum individual reward 250 dollars”. Yep, that was fast. Yesterday, it took a good 8 hours for the 5% cashback. Did your cashback register instantly in Yelp? How does adding a CC that earns 5% at sams to this program affect the points earning on it? If 5% is refunded to the card won’t that negate all the points earned from the CC? It could, that is why you should add a debit card as the primary card so the credit goes on the debit card. I bought something at Kohl’s on 10/4, got 5x UR for department store, returned it on 10/6, only 1x UR points were deducted. But I used a card that is by coincidence was linked to Uber to buy master vanilla one cards $510 and got also $20 credit in Uber! I wonder if the $20 max of 5% at Sam’s in Uber is per day or per purchase? Can I get several times per day? Did you find an answer to this? Wondering the same thing. Per day but Sam’s already cracked down on selling GC on CC . They even removed those $20-$250 cards from shelves. Did all your Uber Visa Local Offer transactions track ok? Some bloggers (not all mine tracked also) have reported that Uber does not always track. My yelp cashback didn’t track for Sams gc today. Dead? Same here. Will try again tomorrow to see if it tracks. same here few days ago! are they taking it away?! You need to make sure to claim the offer each day now. Go click the button in the app for Sams. Only then can you go. I have constant issues with Yelp cashback saying I earned, and then removing it after a few days. I’ve reached out and they’re telling me I earned credit from another account type (ie – Ebates cash back, United, etc) yet they can’t tell me which and I don’t believe they’re right. It’s been super frustrating. dd is double dipping? so you have the same card linked to both and are getting cashback on both apps? even though both use the empyr network? i got my double dip clawed back. they noth tracked and then yelp sent an email saying it loooks like i used another cashback network so they clawed back theirs. Yes both are tracking with no issues. I’ve had yelp claw back before but I haven’t received any notifications this time. My deposit is set to happen in s couple days, I will report back. did you get cashback from both? Both dosh/yelp were tracking until recently. Yelp stopped tracking around Jan 25th for me and I am not sure exactly why. Maybe dosh/yelp updated their system? I have had a card not link in Yelp until I deleted it in Spent.